In 1991, Jay Feinberg was facing a battle with leukaemia and needed a bone-marrow transplant. Artist’s rendering of the new location of the Gift of Life Foundation in Boca Raton, Fla. Credit: Gift of Life Marrow Registry. Some 55,000 people got tested in the hopes of finding him a suitable match. Four years later and facing a critical moment in his illness, a match was finally found. Today, he is committed to helping others find life-saving bone-marrow and stem-cell matches through the nonprofit he founded, the Gift of Life Marrow Registry. 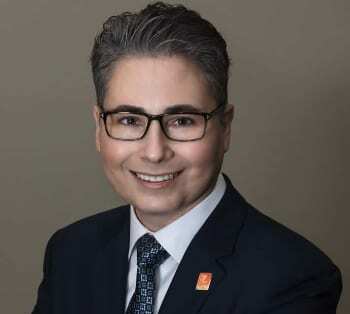 As the organization that has helped facilitate 15,600 matches and more than 3,550 transplants prepares for a new chapter—it’s about to relocate to a new building just a mile from its current offices—JNS spoke with Feinberg, who serves as CEO at Gift of Life, for the details. 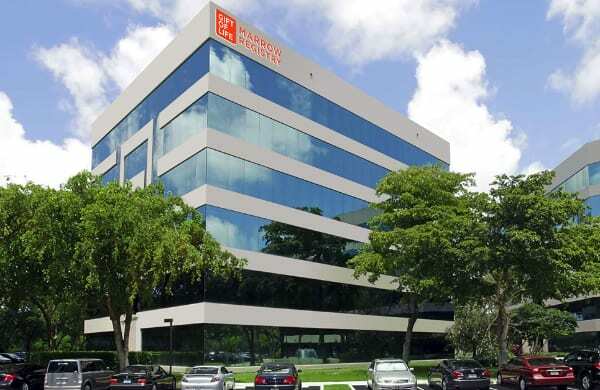 Q: Gift of Life is moving into a new facility in March in Boca Raton, Fla. Why was this needed? A: The registry is growing and because it’s growing, we need more staff, more resources, and as a result, more space. Another important reason is that we are starting a new service at Gift of Life that we haven’t done before as a donor registry. Q: Can you tell us a little about the new service? You would think if a patient has a bone-marrow or stem-cell match, it guarantees that they will have that transplant. But the reality is that 50 per cent of patients who have a match never get to have a transplant because it takes too long. We aim to shorten that time by insourcing the donation process. The collection centre we are opening is exclusively for donors of stem-cell transplants. Currently, such donors have to go to hospitals and blood centres, where they are competing for resources with all the other activities that a facility is undertaking. For example, if the transplant physician tells us they need the donation on July 3, we will go to the collection centre and say this is the date we need. Because they are so busy, they could tell us they can’t do it until Aug. 4, and that’s bad for the patient at the other end. Ours will be the first stem-cell collection facility run by a registry itself. We will control the entire process, so if a patient needs a donation on July 3, he or she will have that donation on July 3. And if a donor needs to donate on a weekend because that’s in their or the patient’s best interest, we will make that happen. This will significantly increase the number of transplants that take place, saving more lives than ever before. Q: How has awareness of bone-marrow donations changed in the last decade or so? A: From the perspective of marrow and stem-cell donations, it has changed a lot. For one, if you look back about 15 years ago, blood had to be drawn to join a registry. It’s now much easier to test people with a simple cheek swab. While you may think that bone marrow donations are always a surgical procedure from the hip, today 80 per cent of donors actually donate stem cells through the arm. They sit on a recliner chair with a needle in each arm. Blood is taken from one arm. It is then run through a cell-separating machine that spins the blood very fast, removes the stem cells and gives the blood back to the donor in their other arm. The process takes about four hours. A donor can relax and watch a movie while they are undergoing the process, or talk to friend or spouse or whoever is with them, and when they are done, they go home. That’s made it much easier for potential donors who might initially be fearful of the donation process. Our goal is to increase that awareness. Q: What drives people to join a bone-marrow registry? A: Just about everybody is motivated when there is a personal story connected to it. It’s always the case when people see a flyer or get copied on an email or a post on social media that there is an urgent appeal for someone who has leukaemia who needs a transplant. People may see a sign that says a bone-marrow drive is happening at a local synagogue or Jewish community centre and they come to get tested, but not nearly as much as if they hear about a specific little girl in their neighbourhood who needs a bone-marrow transplant. Human-interest stories engage people. I don’t think that will ever change. The Gift of Life Australia was founded 30 years ago by Shula Endrey-Walder in association with Jay Feinberg. Shula remains the driving force of the Australian branch and was awarded an OAM for her work. Wherever you are in Australia or New Zealand, if you wish to become a donor please contact Shula by email at shula@giftoflifeaustralia.org.au or by phone/text at 0414 787 444.